It happens all too often that shoppers pick up enticing merchandise and forget to pay at the checkout. Many times, the merchandise isn’t worth much more than $20; however, loss prevention officers can detain shoplifters until police arrive at the scene. When the police show up, they try to interview the individual accused of shoplifting. In Florida, prosecutors treat shoplifting very seriously and convictions often carry harsh penalties. The punishment often exceeds the severity of the crime. A person can face jail time, steep fines that cost several times more than the item’s value, and criminal charges. One who takes property worth $300 or more also commits a third-degree felony offense. If you face shoplifting charges after patronizing a business in central Florida, it is in your best interest to speak with a criminal defense lawyer in Orlando to resolve your case. 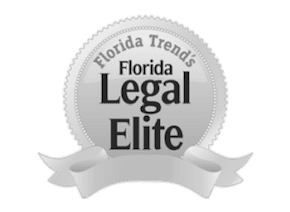 Why Do I Need An Orlando Shoplifting Defense Lawyer? Most people who are accused of shoplifting have made the mistake of forgetting to pay for an item or forgetting to return an item they changed their minds about purchasing. This mistake can be costly if a law enforcement officer believes you were trying to steal merchandise from a shop. The criminal defense lawyers at The Umansky Law Firm can employ a legitimate defense to fight the charges against you, depending on the circumstances of your case. The sooner you get an attorney involved, the better your chances will be that you will obtain a favorable resolution. Our attorneys work diligently to review every aspect of your case to try to get your charges dropped or reduced to lesser charges. Our goal is to mitigate the effects of becoming entangled in the criminal justice system because we firmly believe that everyone deserves a second chance. Bystanders and sales associates can be unreliable when reporting a shoplifting incident to the police. When people like bystanders and store associates are in a hurry, they can easily jumble the sequence of events in their minds or mistake the suspect for someone else. In most cases, law enforcement officers do not take the observations of bystanders and sales associates seriously unless there is additional evidence that you shoplifted. These observations generally do not constitute a valid claim against you without further proof. When pursuing shoplifting charges, prosecutors must prove the defendant had the intent to take merchandise without paying for it. An attorney may be able to present evidence that shows your innocence to prove that you did not intend to steal what you were accused of stealing. If you are under investigation for shoplifting in central Florida, speak with a knowledgeable defense attorney as soon as possible. In many cases, it may be possible to intervene before formal charges are filed against you. Your attorney will work diligently to have your charges reduced or completely dropped, helping you avoid a criminal record and the steep fines and incarceration that can accompany a theft conviction. Speak with William Umansky and his team of determined theft attorneys about your shoplifting case for free by calling (407) 238-3838 or contacting The Umansky Law Firm online. We are also available 24/7 via online chat.